No appointment or deadline is worth your life! Here is the regional radar as of 6:05pm. The rate of rainfall is increasing in some areas. 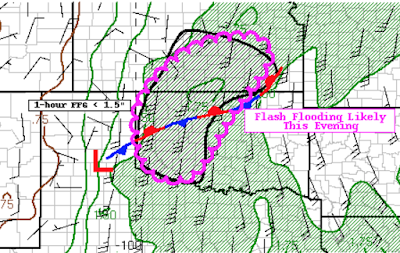 What meteorologists call "overrunning" is occurring along the front in southern Kansas and the west half of Oklahoma. The ground is saturated in many areas and additional heavy rain will run off quickly. 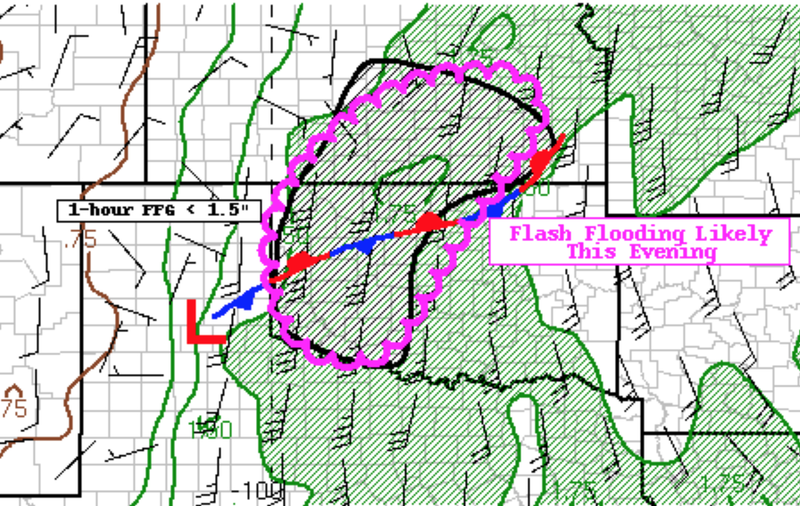 The area hatched in pink is where serious flash flooding could develop overnight. Note: statistically, the worst flash floods occur in darkness. Turn around, don't drown! 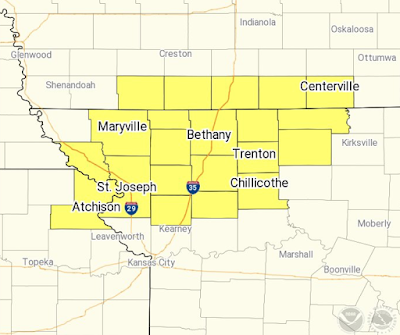 While we are looking at the weather in the Great Plains, a tornado watch is in effect for far northeast Kansas, northwest Missouri and southwest Iowa until 10pm. 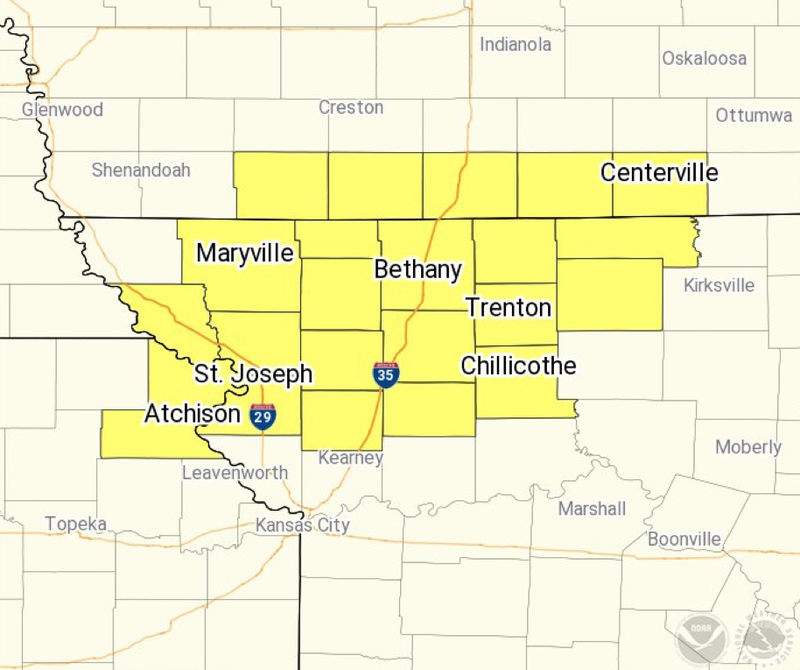 Please keep up on tornado and flash flood warnings through the night.